The second half of March through the first week in April is normally the ideal time for burndown applications in no-till cotton. Weeds are typically smaller and less mature (easier to kill) during this period compared to later in the spring, and application during this period gives adequate time to meet the waiting restrictions for most of the herbicides we commonly use. So far this March, the weatherman has not been helpful. Rainfall has varied across our region, but on average it is close to normal (Table 1). However, it has been colder than normal in all regions. Our average low temperature has been about 3 degrees below normal while the average high temperature has been about 5 degrees below normal. The long-range forecast for March 28 through April 7 looks pretty good — lows in the mid to upper 40’s and highs in the upper 60’s. If the forecast holds, it would be a good time to get some burndown on. Temperatures. What is a good temperature to apply burndown? There is no absolute answer. Obviously, warmer is better. Under warmer conditions, the weeds are more actively growing and the herbicides will work better. A better question is when is it too cool to apply burndown? Again, there is no specific answer. But remember, we are trying to kill winter annual weeds, and they are accustomed to cooler temperatures. With that said, I would like to see the low 40’s or above for a couple nights before application and the highs 60 or better. Mixtures. Most winter weeds are controlled by glyphosate. However, there are some notable exceptions, and it is for these exceptions that we include another herbicide with the glyphosate. That other herbicide is typically 2,4-D although dicamba (Clarity, others), thifensulfuron + tribenuron (FirstShot, Harmony Extra, others), rimsulfuron + thifensulfuron (Leadoff, others), or saflufenacil (Sharpen) are also options. See Table 2 for weeds controlled. It is a common practice to include a residual herbicide in the burndown mixture, especially when horseweed (marestail) is present. Valor (and other brands of flumioxazin) is most commonly used. Valor generally does not help much on killing emerged weeds, hence you still need something like 2,4-D or dicamba. 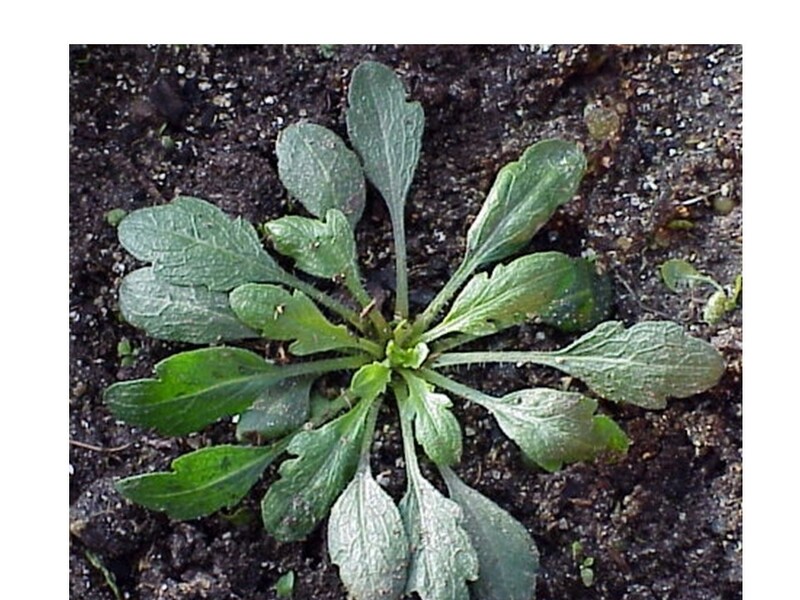 Valor can, however, provide residual control of horseweed and other winter annual weeds that may emerge after a burndown application. This late emergence is usually not much of an issue. Of greater importance is the residual activity on summer annual weeds, such as Palmer amaranth, that emerge after planting. At the 2 oz rate, Valor can control Palmer amaranth for 2 to 3 weeks after planting. If the preemergence herbicides are activated timely, the residual from Valor is of limited benefit. But, in the absence of preemergence herbicide activation, the early season control by Valor can be very important. Goal is being promoted as an alternative to Valor. In my experience, horseweed control by glyphosate + Goal + dicamba or 2,4-D has been very similar to that with glyphosate + Valor + dicamba or 2,4-D. However, we do see a difference in the residual control going into the season. Valor has given us somewhat better Palmer amaranth control between planting and the first POST application than Goal. Waiting periods. The waiting period between burndown application and cotton planting varies, depending upon the herbicide(s) used. Waiting periods are presented in Table 3. Horseweed. 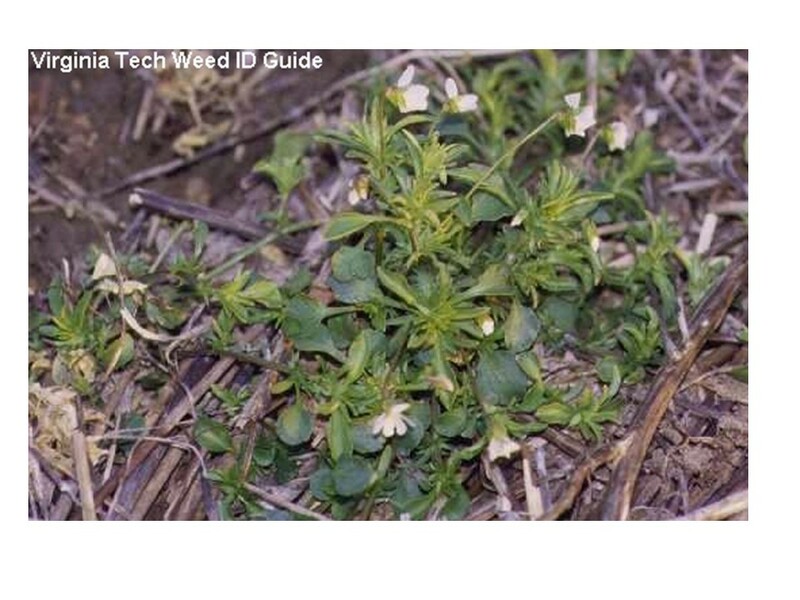 Glyphosate-resistant horseweed (illustrated below) is commonly found in eastern North Carolina and is beginning to be a problem in the Piedmont. We generally see excellent kill of glyphosate-resistant horseweed with 2 pt of 2,4-D. However, Clarity (or other brands of dicamba) is sometimes more effective, especially on larger horseweed. Sharpen is very effective on horseweed, but there is a 42-day waiting period between application and cotton planting. Elevore (halauxifen), a new auxin herbicide from Corteva AgriScience (formally Dow and DuPont), is being marketed for burndown horseweed control. During 2017, NC State and Virginia Tech compared burndown weed control of Elevore to 2,4-D and dicamba. Elevore controlled 3.5- and 6-inch horseweed as well as dicamba and better than 2,4-D. However, Elevore did not effectively control cutleaf eveningprimrose, a common winter annual species in no-till cotton fields. A 30-day waiting period is required following Elevore applied burndown and cotton planting. Paraquat weeds. Glyphosate is usually the material of choice in preplant burndown, but there are a couple of weeds where paraquat would be preferred. 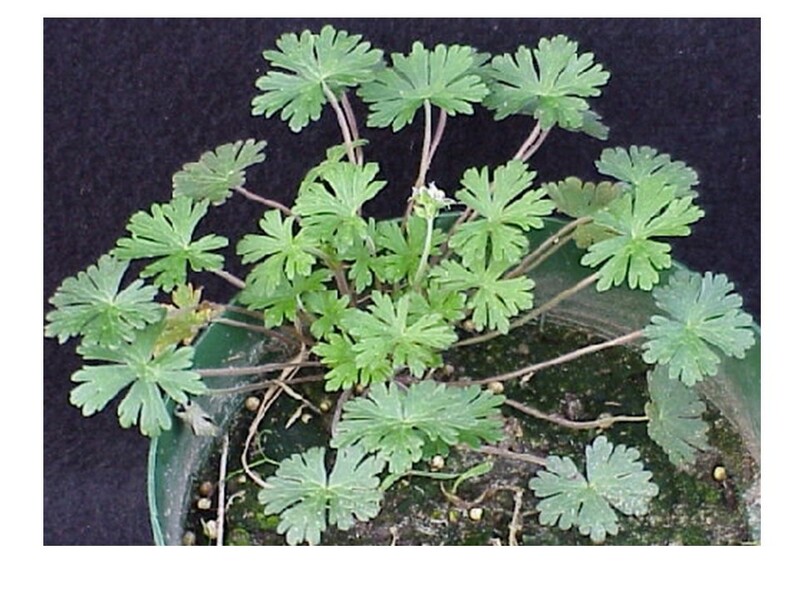 Glyphosate and glyphosate + 2,4-D are weak on Carolina geranium (illustrated below) whereas paraquat is quite effective (Table 2). Glyphosate + dicamba is adequately effective on geranium. The other species where paraquat would be preferred is field pansy (illustrated below). Glyphosate combinations are fair at best on pansy whereas paraquat or paraquat plus diuron work well. Cover Crops. Glyphosate is effective on wheat or rye cover crops (Table 2). If clover or vetch is mixed with the wheat or rye, one needs to include dicamba or 2,4-D with the glyphosate. Vetch is adequately controlled by either 2,4-D or dicamba whereas dicamba is the better material on clover. One of the goals of a cover crop, in addition to erosion protection, is suppression of summer weeds and moisture conservation. Greater weed suppression and moisture conservation will be obtained with greater biomass produced by the cover crop. Hence, growers may want to allow the cover crop to grow later into the spring to produce more biomass. Even so, it is still a good idea to kill the cover crop a week or more ahead of planting to avoid excessive moisture depletion by the cover crop. A good stand of cover crop usually suppresses winter weeds well. However, if the wheat or rye cover crop is thin and winter broadleaf weeds are present, especially horseweed, one can apply 2,4-D or dicamba in March and allow the cover crop to continue to grow before terminating it later with glyphosate. • Are There Alternatives to Glyphosate for Weed Control in Landscapes?